All summer I’ve been battling the Turk’s Cap, just to keep it alive. I didn’t realize when I planted it this spring that it was going to get just a little too much sun. As soon as the weather broke I transplanted to a slightly shadier spot. Within a few days, blooms! The new location has dappled sun in the morning and afternoon, only getting sun when it is directly overhead. This is a new bed I created by ripping out the overgrown ruelias. I also planted pigeon berries. Last time I planted them in the front yard, and the deer gobbled them up. This is my third try at Fall Aster. I’ve never gotten flowers. I think it was the opposite problem, too much shade. I planted this one in the spot vacated by the Turk’s Cap. This spot gets shade in the early morning and late afternoon, but sun for several hours in the middle of the day. 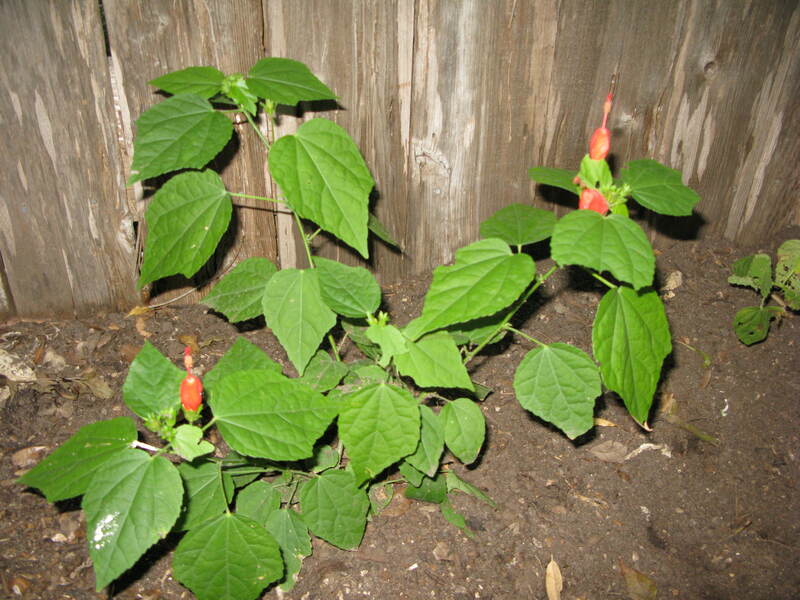 I once saw Turk’s Cap growing in the wild. They were growing on the edge of a woodland area. The plants were leaning out into the sunlight just beyond the edge of the tree line. 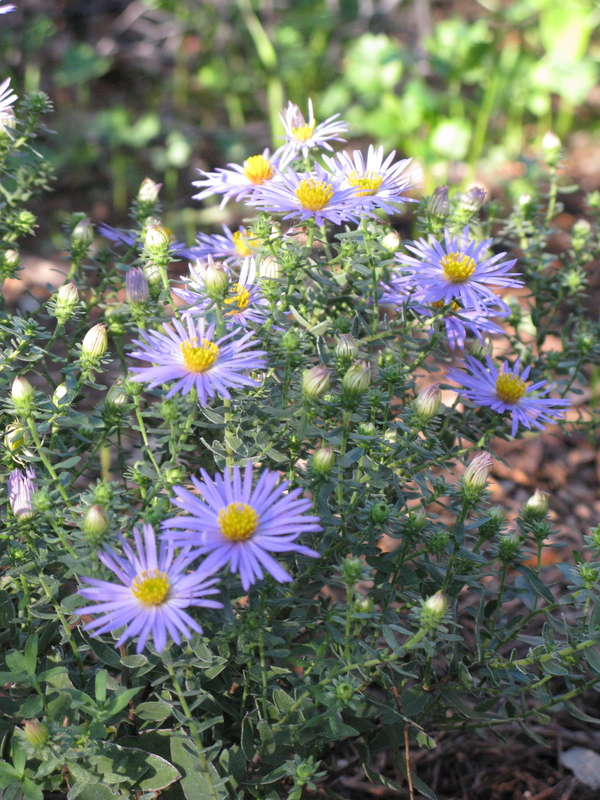 I’ve been able to duplicate that effect with the Turk’s Cap, but the Fall Aster totally eludes me. I’ve tried this plant, so my times now with no success. I’m sure you’re right about the amount of sun. I just planted 3 new plants last month. No flowers yet, but hopefully, I picked a good spot this time.